*io9's New Sci-Fi and Fantasy Books You Need to Put On Your Radar Set in the world of the Sword of Truth saga, the ramifications of New York Times bestseller Terry Goodkind's Shroud of Eternity extend throughout all of the Old World as familiar allies, dangerous magic, and creatures created by twisted sorcery all work at cross purposes to either save or destroy Ildakar in Siege of Stone The Sorceress Nicci, the Wizard Nathan Rahl, and the young swordsman Bannon remain in the legendary city of Ildakar after a great internal revolt has freed the slaves and brought down the powerful wizards council. But as he fled the city, capricious Wizard Commander Maxim dissolved the petrification spell that had turned to stone the invading army of General Utros fifteen centuries earlier. Now, hundreds of thousands of half-stone soldiers from the ancient past have awakened, led by one of the greatest enemy commanders in history. Nicci, Nathan, and Bannon have to help Ildakar survive this unbreakable siege, using all the magical defenses of the legendary city. Even as General Utros holds Ildakar hostage and also unleashes his incredible army on the unsuspecting Old World, an equally powerful threat arises out in the sea. Nicci knows the battle won’t remain in the city; if she can’t stop this threat, two invincible armies can sweep across the Old World and destroy D’Hara itself. The Nicci Chronicles Death's Mistress Shroud of Eternity 3. 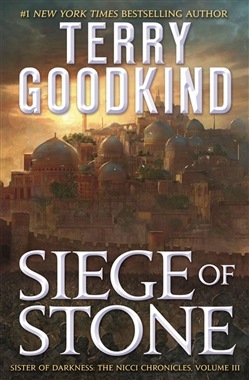 Siege of Stone At the Publisher's request, this title is being sold without Digital Rights Management Software (DRM) applied. 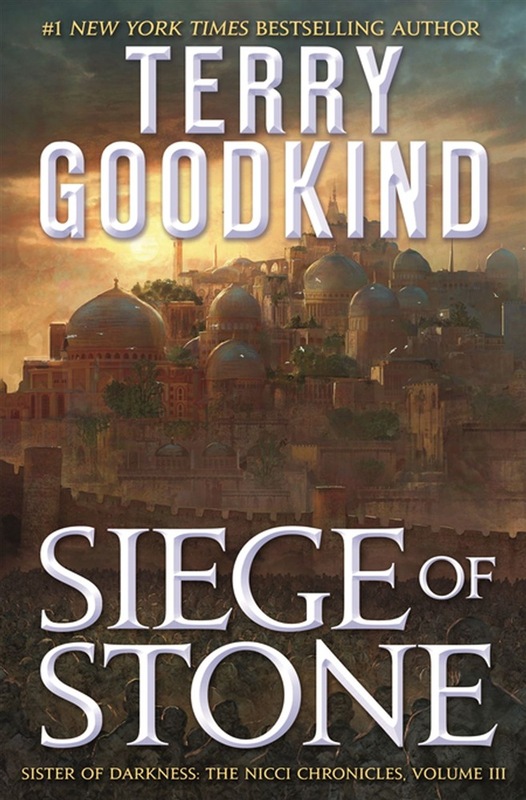 Acquista Siege of Stone in Epub: dopo aver letto l’ebook Siege of Stone di Terry Goodkind ti invitiamo a lasciarci una Recensione qui sotto: sarà utile agli utenti che non abbiano ancora letto questo libro e che vogliano avere delle opinioni altrui. L’opinione su di un libro è molto soggettiva e per questo leggere eventuali recensioni negative non ci dovrà frenare dall’acquisto, anzi dovrà spingerci ad acquistare il libro in fretta per poter dire la nostra ed eventualmente smentire quanto commentato da altri, contribuendo ad arricchire più possibile i commenti e dare sempre più spunti di confronto al pubblico online.